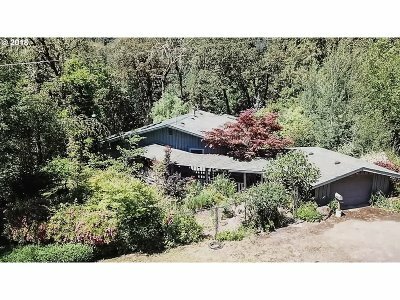 Enjoy world class fishing & recreation on the North Umpqua River just out your back door. This unique 2 bedroom 2 bath cottage offers private tranquility w/warm natural wood finishes. Features include generous windows, multiple skylights, flawless hardwood floors and vaulted beam ceiling. Spacious bedrooms & larger master suite w/laundry & soaker tub. Finished basement w/possible 3rd bedroom. Possibility of additional home-site!